Atom Country Combo Box (which includes country names, flags, country codes, abbreviations, and currency symbols). The key benefits of UI Atoms Controls are that applications can be built using simple tags and by setting simple attributes, instead of writing lengthy and repetitive code. The concise code dramatically reduces the possibilities of errors, and error resolution and debugging tasks become simple. 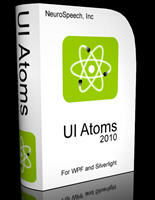 UI Atoms is guaranteed to make programming of forms, and reporting screens, a breeze! Make your applications look professional and do it with the help of easy-to-use Controls of UI Atoms today! Since the introduction of .NET 2.0, many organizations already have application middleware designed in .NET 2.0. Using this middleware in WPF or Silverlights has proven to be a little difficult. This is primarily due to the fact that WPF & Silverlight databinding, as well as Validation models require reprogramming of the Data Layer. With UI Atoms, you can use your existing business middleware and enhance your UI to next level. Scheduler Net Component - with an amazing scheduling engine for any WinForms application (including but not limited to Visual Studio 2005/2008). 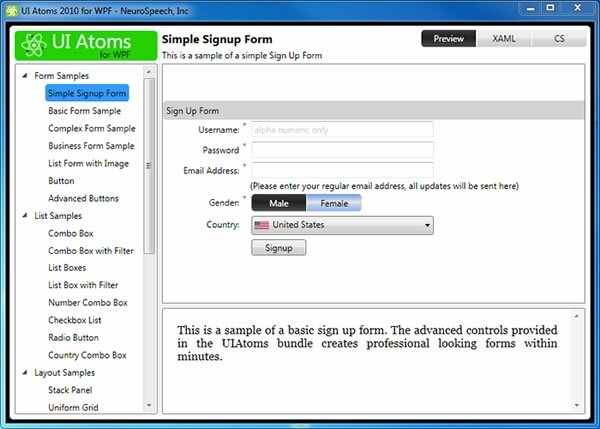 BotPlatform SDK for JAVA - Instant Messenger Bot BuilderInteractive Promotion Application for Brand Marketing The exclusive certified develop platform of Windows Live Messenger (MSN) bot. Image Styles Library - A graphic generation and image processing library for Win32 software developers. HotPDF Delphi PDF Creation Library - is a VCL component for Delphi and C++ Builder that provides you with the ability to create and edit PDF documents. GetWord - is a professional DLL component for capturing text on screen.